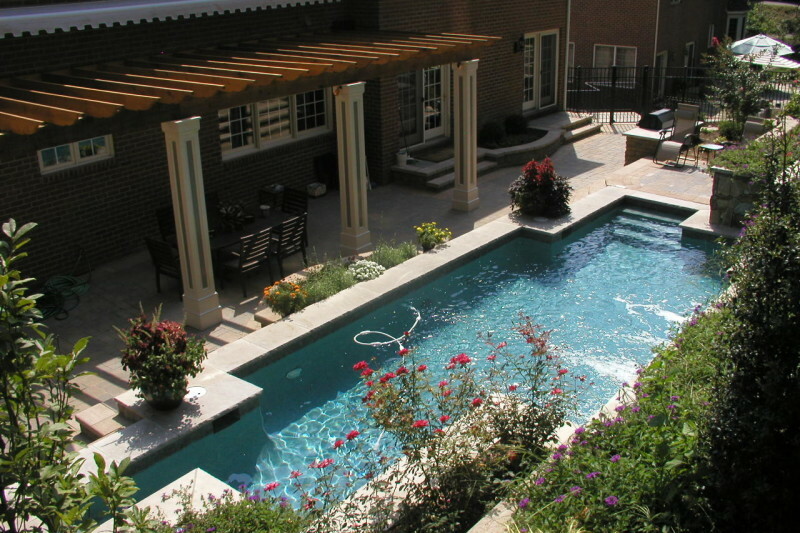 Hillside Landscaping and Pool in Chevy Chase MD - Land & Water Design, Inc. If you’ve ever lived in an apartment carved out of an old house you know that use of space in a long, narrow room can be the most difficult. 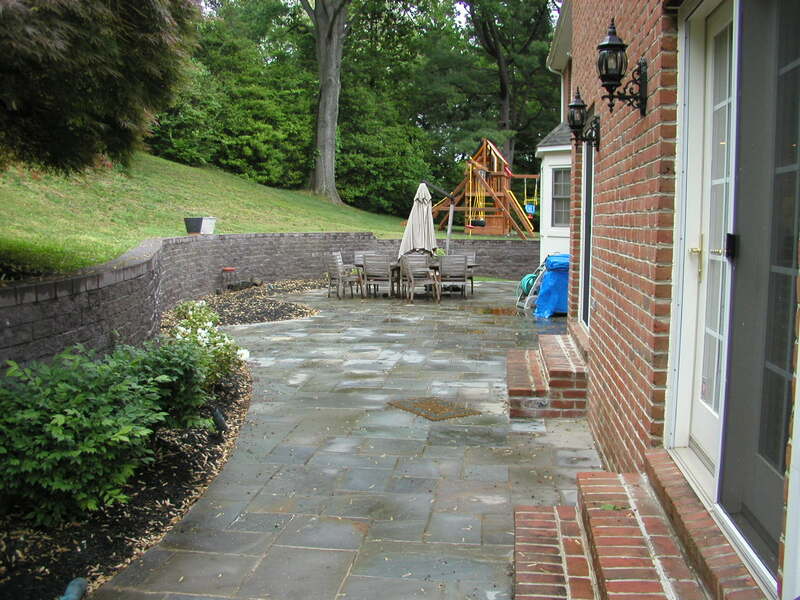 We had a similar design challenge with this Chevy Chase hardscape project. The homeowners were hard pressed to find anything to love about their backyard. The view out the back of the house was a chest-height block wall, topped by a steep grassy slope that ended 18 feet above the patio grade. It was not an appealing or functional space to spend time and entertain guests. 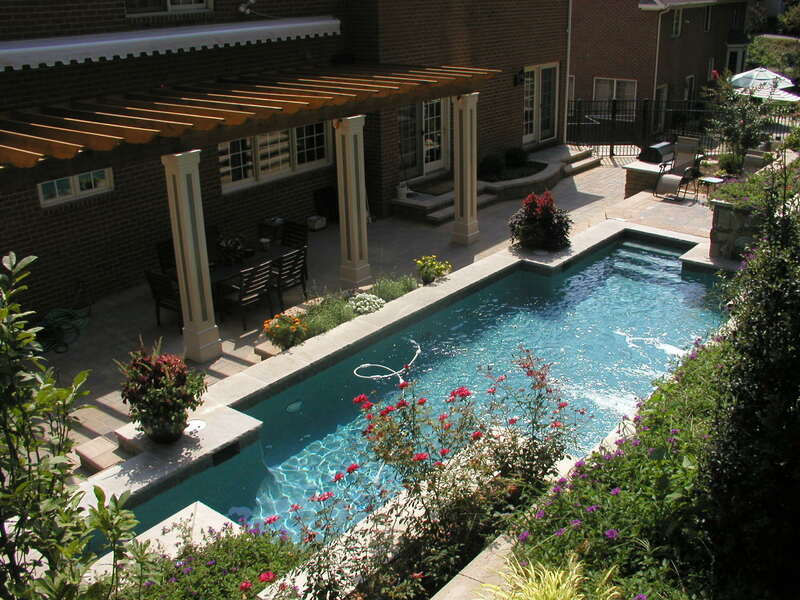 The landscape design challenge for this Chevy Chase lot was to develop a plan with a swimming pool, a pleasant outdoor space for dining and lounging, and a natural hillside garden that required significantly less maintenance than the grassy slope. Just as your interior designer would advise you inside the home, we made a long narrow space work, by creating smaller more functional spaces within. 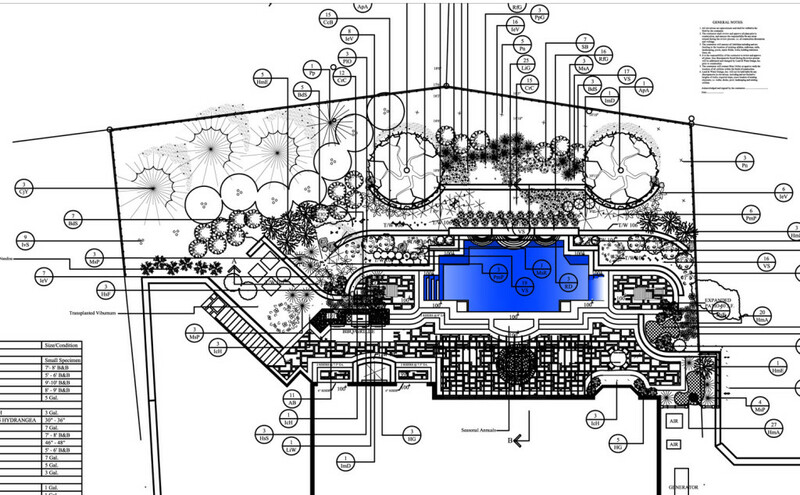 Entries at either end of the pool make the most use of the narrow backyard. A custom pergola attached to the house and supported with boxed columns defines a cozy dining space at the poolside. Three sheer descent waterfalls pour from the face of the wall behind the pool, adding beauty to what would otherwise be a strictly functional retaining wall. We even found space at one end of the pool for a small outdoor grill island. Raised planters and colorful containers brighten up the patio while economizing space. Behind the pool, grasses and perennials ascend the hill while hollies and crape myrtles add structure and year-round interest. The lush plantings soften the angular shapes of the walls and the pool, creating a delightful blending of architectural shapes and relaxed sweeps of greenery. What are your space challenges? Whether you have too much, too little, or just enough space, you should know that when you contact us, we’ll make your space… just right!